Nothing about recent mainstream movie trailers has been appealing to me recently, I suppose we will have to wait until winter or spring to get the juicy trailers for next year’s big blockbusters. In the meantime, though, these non-summer months we’re just starting out on are here for independent cinema. In that spirit, I picked Charlie Countryman as today’s trailer. In picking the trailers, I really make an effort to decide based on the video itself. I do believe there’s something of an art to coming up with a good trailer, and while Charlie Countryman‘s ad does not necessarily break the norm, it is an exciting trailer that genuinely makes me want to see the movie. I’ve traditionally been somewhat at odds with LaBeouf’s film choices, so his prominent role here might have previously turned me off the film completely. After seeing Lawless, however, I definitely have more faith in his ability to pick a role and commit to it. Despite his rocky past (I’m looking at you, Transformers), the young these seems to have recommitted himself as a serious actor. He’s also appearing in Lars von Trier’s latest film, Nymphomaniac, which has me intrigued somewhat thought I’ve recently found von Trier’s films hard to stomach (not to say that they were bad, by any means). The rest of the cast of Charlie Countryman seems spot-on – Evan Rachel Wood, Mads Mikkelsen, Til Schweiger, and Melissa Leo have all proven themselves to me in the past, so I’m genuinely excited to see the film, based on the trailer. 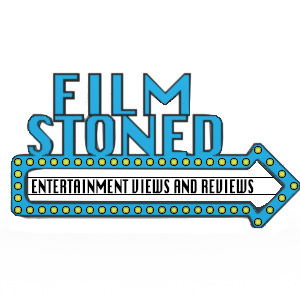 Though I’m now seeing the reviews are less than great (Rotten Tomatoes has 33%), this may just be the case of a low score indicating something controversial, perhaps, as opposed to merely bad. The film is directed by new-comer Fredrik Bond, written by Matt Drake, and comes out in UK on November 8th, and on the 17th in the US, in limited release. Whatever Works, in my opinion, ultimately expounds two hypotheses. Firstly, in Annie Hall Woody Allen says “Don’t you see the rest of the country looks upon New York like we’re left-wing, communist, Jewish, homosexual pornographers[.] I think of us that way sometimes and I live here.” This is what Mr. Allen demonstrates in this film, with a string of characters that come to New York, and become – well, homosexual pornographers, in the best possible sense of that term. The film is about the healing power of New York; a bastion of reason, no matter how neurotic, in a fundamentally insane country and world. The various mishaps that lead to the spectacular change in the characters is unrealistic, yes, but it is not meant to be realistic. It is a self-aware reduction of the rest of the world outside of Woody Allen’s own head into the Freudian terms which he understands; and as far as reductionism goes, it’s very forgiving. 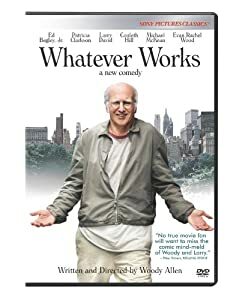 The second thesis is the one that is most simply put by the words “whatever works.” Ultimately, Woody Allen’s characters are painfully aware of the fleeting nature of life, none more painfully than Boris, played by Larry David. His several failed suicide attempts have left him an old, bitter man, one that it is decidedly difficult to like in certain parts of the film. It is he, however, that provides the formula to get through the painful existence. Namely, whatever happiness, whatever fleeting moment of love one can find, it is imperative to simply hold onto it for as long as one can. Don’t be ignorant of the possibility of the end – indeed, ignorance is the one thing Larry David’s character cannot be accused of; but instead be a little less concerned with the it. While certain aspects of the theory could be perceived as depressing, it is, in my opinion, actually very romantic. Woody Allen seems to have found a way to make luck, irrationality of love, and quantum mechanics not put down, but rather promote a more romantic outlook on life, choosing to look past the bad parts rather than being unaware of them. Overall, the film is a welcome return to the more classical approach of film-making for Woody Allen. The character played by Larry David is very much the one Allen played himself countless times, and the breaking of the fourth wall, certain characters’ self-awareness is reminiscent of Annie Hall in a significant way. The writing is, at times, great. The one liners are as funny as only Woody Allen can deliver, and the young girl’s repetition of Boris’s jaded theories on the emptiness of existence is hilarious. Evan Rachel Wood’s performance here is played with a welcome comedic awareness and conviction so lacking in some of the more modern comedies. Patricia Clarkson’s performance as the girl’s mother plays a scheming mother-in-law is remarkably likable despite her occasionally despicable actions. Larry David’s own performance is occasionally somewhat wooden, but his comedic delivery is difficult to dislike. The film definitely ought to be seen by all fans of the earlier Woody Allen films. While his own acting is certainly missed, the experience is one which I found extremely uplifting. Besides, I have waited for years for Woody Allen to return to New York. Director George Clooney’s latest foray into political cinema in Ides of March actually plays as if it was written by a speech writer. The language is concise, the message is clear. It isn’t necessarily the power that corrupts, but the compromises one has to make to put themselves in that position of power. George Clooney’s character is Mike Morris, a state Governor who is in the running to win the presidential primary for the Democrats’ candidacy. His compromise is embodied by Ryan Gosling, who plays Stephen Meyers, Morris’ deputy campaign manager. As the Ohio state primary unfolds, Stephen finds himself making a mistake in meeting, even once, with the manager of the opposing campaign. This acts as a catalyst for a series of events that end up wrecking the ideals of both men – the Governor, and Stephen, as both have to compromise to keep their head above water. All of this is unfortunately dramatized, and thickened. A single mistake in the world of politics, apparently, means death. Which, may be true in cases – a single embarrassment can mean the death of one’s career in that world, and even so… The character’s reactions seem drastic. The characters themselves often speak to one another as if they were embroiled in a public debate. It is difficult to decide whether this is a conscious choice on the part of the writers of the film (of which there are three). True, the characters are themselves practiced speech writers, they make their living that way. Perhaps the language would seep into their daily lives. Yet, if this is a rhetorical strategy it is a flawed one. Philip Seymour Hoffman, who plays Stephen’s boss, is ultimately given very little to do here, which is surprising. George Clooney is an actor himself, and it was difficult to understand why he gave this role to such a masterful actor. It isn’t that the part is small, it’s that it isn’t interesting, apart for a few fiery lines. Paul Giamatti’s portrayal of Tom Duffy, the manager of the opposing campaign, was at least obviously unlikable enough to not suffer from this characterization. He is cynical and jaded, having clearly spent too much time on the campaign trail. George Clooney’s Morris is almost always on, and therefore comes off almost as perfect as his public image makes him out to be. When Morris is making a speech, one is instantly inclined to believe him. Even as dirty secrets come out, one can’t help but believe he was simply being corrupted by the difficult choices he is forced to make, and that he really is the idealist he swears to be. Only, his ideals are now tied to people that oppose it at all costs. Finally, we return to Stephen. Stephen has involved himself in a love affair with an intern, played by Evan Rachel Wood, but really is a very nice guy. He believes in his candidate. Only, when his candidate treats him, or the lovely intern, unfairly, he is out for blood. He drops very quickly the spiel about what is best for the country. It becomes obvious that what Stephen is after, is his piece of the pie. The difference between his appearance and demeanor in the opening shot, and the final, is stark. Obvious, even. 2011 is definitely going down as Ryan Gosling’s year – Crazy, Stupid, Love., Drive, and The Ides of March make him the face of the year. Which is well-deserved. He is a believable, likable, and clearly talented. Ultimately, the message about the realities of the political world contributes nothing we didn’t already know. Which isn’t a bad thing, really. It’s just that when a film concentrates on a message rather than art, its message needs to be profound, rather than merely letting us know that the people we vote for may not be telling us the complete truth about their beliefs. Why is why the movie fails to even be topical during primary season – its message is so broad, it could apply to anything. Which almost feels like a compromise on the film’s part.